AN's 2017 May Cocktail Crawl is coming! - Archpaper.com AN's 2017 May Cocktail Crawl is coming! AN’s May Cocktail Crawl is coming! 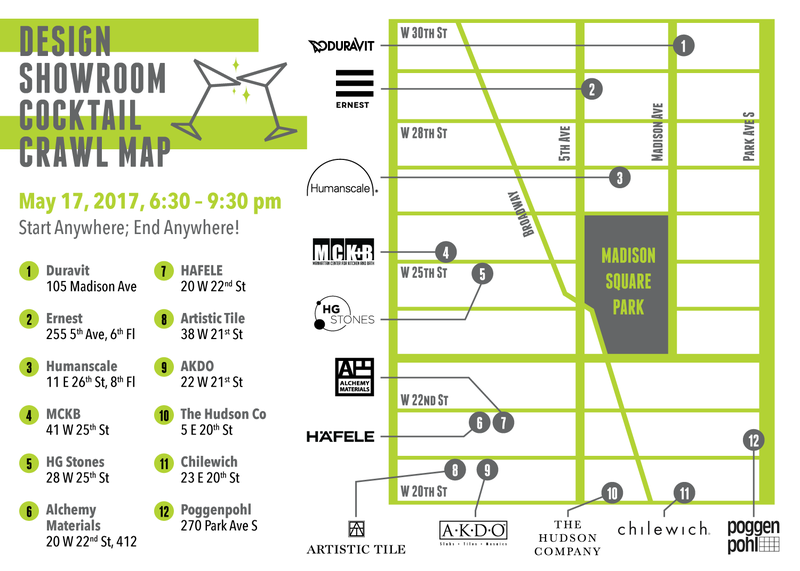 Join The Architect’s Newspaper and Flatiron’s design showrooms for the 2017 May Cocktail Crawl! The event features 12+ showrooms, signature drinks, and special prizes. Visit any seven showrooms for a chance to win a $500 AMEX gift card. Participating showrooms include Duravit, Humanscale, Poggenpohl, HAFELE, and many more. Attendees must RSVP in advance through Eventbrite and present their tickets at each event site. Open to professional designers and architects ONLY.